Czort was an excellent racer and twice winner of Criterium. 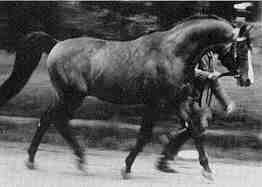 He was a very important sire in post-war breeding in Poland, known as a sire of excellent performance horses. 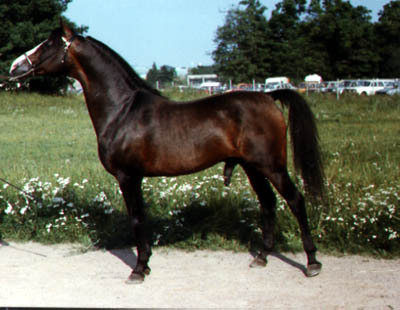 Czort was used for breeding between the years 1959 - 1972. He raced 19 races in four seasons with the results (13-5-1). 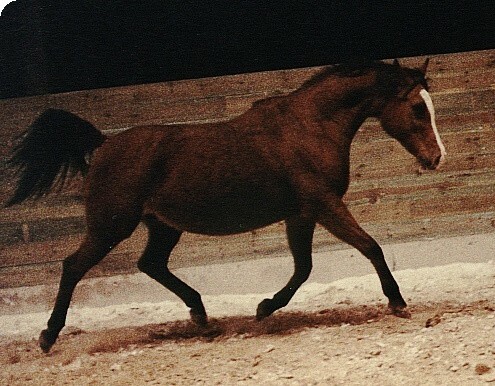 Czort produced 15 stallions, 4 of them were used in Poland. 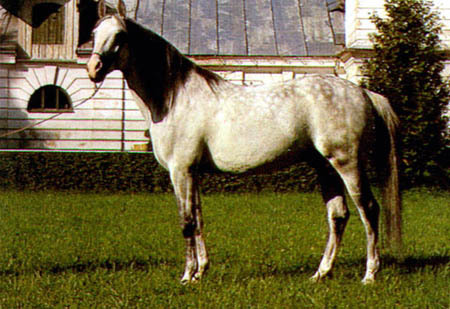 Wielki Szlem was, together with his paternal brother Witraz, the most valuable stallions in Polish breeding after World War II. These two bay stallions, both sired by Ofir and with Gazella II as their grand-dam, were born at Janów Podlaski Stud in 1938. Forta was a bay mare born at Gumniska in 1943. She raced two seasons with the results 2/11 (2-1-7) 2. Forta has an impressive production record. Between the years 1949 to 1969 she gave birth to 20 foals. Among them breeding stallions such as Czort, Equifor, Faraon and Flis and well-known mares such as Dyska, Fatma, Fortunata and Forsycja. Czort's offspring won three times Oaks, five times Derby and three times Criterum. Among them you'll find Krezus (1963) - winner of Derby and Criterium in Poland, later exported to Sweden, Sabbat (1964) - Derby winner, Elfur (1966) - Derby winner and leased to Tersk Stud, Russia. 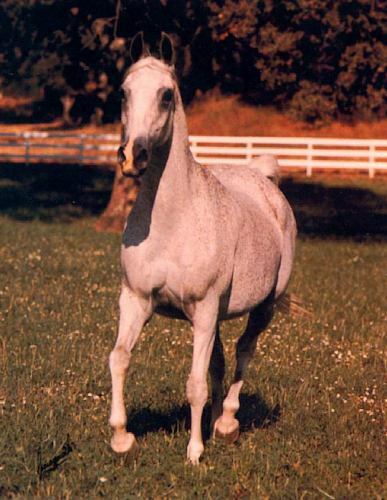 Allahbad (1967), Banzaj (1965) and Etan (1965) - exported to the U.S.A. Allahbad and Sambor (1965) became US National Champion Race Horse and Etan - US Champion Top Ten English Pleasure and Canadian Reserve Champion Stallion. 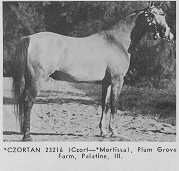 Czortan (1962) was head sire for Plum Grove Farm in the US. 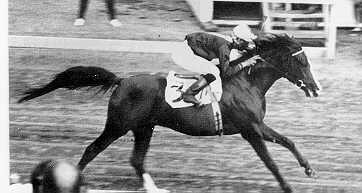 Pierrot (1969) was winner of Derby and Criterium and sold to Germany in 1977. 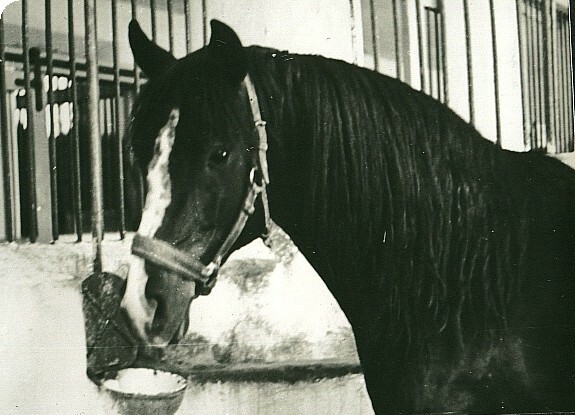 Elfur (1966), a full brother to El Paso, was leased to Tersk Stud, USSR, in 1973-75. Later on exported to the U.S.A. Elfur has a very special life story that is well worth to mention, he was known to the Poles as the "Steel horse". The reason to this is that when he was sent back to Poland after his years of being on lease to Russia, some unfortunate mix-up was made with his documents. This lead to that Elfur arrived in Poland, on a train, without the Poles knowing this! A worker on the train heard some strange noice and finally Elfur was found! His name the "Steel horse" was well earned since the poor stallion had been on that train without water and feed in mid winter cold for around one week!! Elfur was further an excellent racing horse; he raced 23 times on 4 seasons. He won 14 (!) times, was placed second 5 times and on third place 3 times, he was a derby winner and 9 were Major Stakes wins. 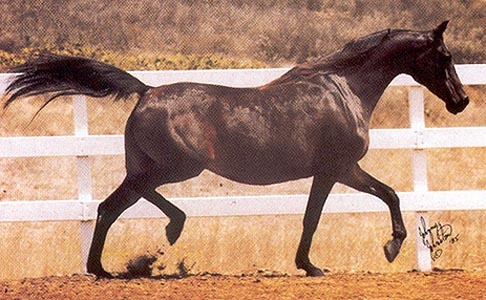 The most well known son of Czort - El Paso (1967) - who became 1976 Scottsdale Champion Stallion and 1976 US National Champion Stallion. El Paso was sold to the U.S.A for $1,000,000! 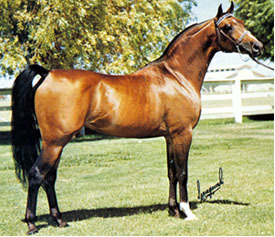 Czort produced 27 mares: including 12 exported to the U.S.A: Ruta (1973), Kama (1962), Sala (1962), Algoa (1964) - dam of Aloes - chief sire and Polish National Champion Stallion and sold to the US for a record price of $395,000 at the Polish Prestige Sale in 1987. Algoa herself was winner of both Oaks and Criterium. Czort also sired Pemba (1964) - dam of Pepi (1975) - chief sire and Best in Show at Calbar International in Demark in 1985 when on lease to Blommeröd Stud in Sweden and Pepton - race champion, leading sire of stakes winner and Polish National Champion Stallion in 1989. Further Czort sired Enora (1969) - dam of Enos (1975) - Polish National Champion Stallion and prominent sire in Poland and the U.S.A. Czort's daughter Santa (1960), the full sister to Sambor and Sabbat, was winner of Derby and Criterium. 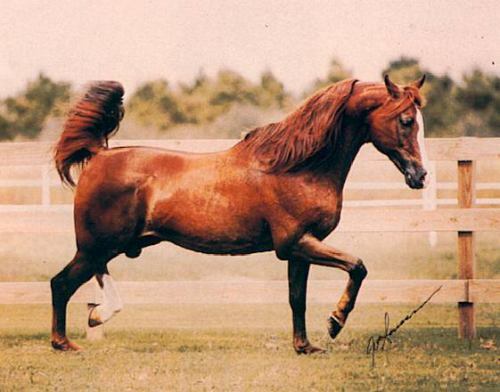 In Sweden Czort's daughter Peonia was a very appreciated brood mare at Slängsboda Arabians, among other fine offspring Peonia gave birth to the successful endurance gelding Poem (1983, by Gokart) and Probina - exported to the US and brood mare at Dombrowski Arabians, KY. Racing record: 4/21 (9-6-1), winner of Criterium, Derby and 5 Major Stakes.